Do you like to draw a wolf? Yes, I like to draw a wolf too. It is one of my favorite wildlife pencil drawings. I'm sure you too like to draw other wildlife drawings such as tigers, horses, dolphins and other wildlife creatures. A wolf is a mammal of the order Carnivora under Canidae family. There are many different species of wolves. The largest wild wolf is a gray wolf. Some might spell it as a grey wolf. Though once abundant over much of North America and Eurasia, the gray wolf inhabits a very small portion of its former range because of widespread destruction of its habitat. However, the gray or grey wolf is regarded as being of least concern for extinction according to the International Union for the Conservation of Nature and Natural Resources. Today, wolves are protected in some areas, hunted for sport in others, or may be subject to extermination as perceived threats to livestock and pets. 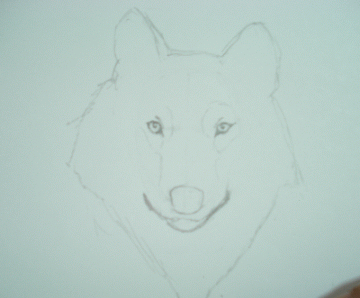 Okay... let's start on how to draw a wolf. Watch slideshow video tutorial or read (click the link) a step-by-step tutorial. a nice place to sit...because it might take you long hours before you finish your wolf drawing. 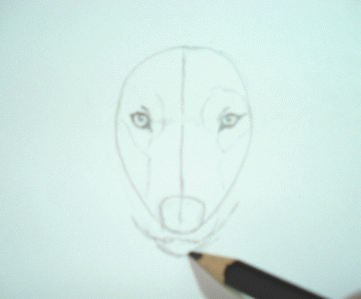 If you already have all that is required, than you can start your wolf pencil drawings. 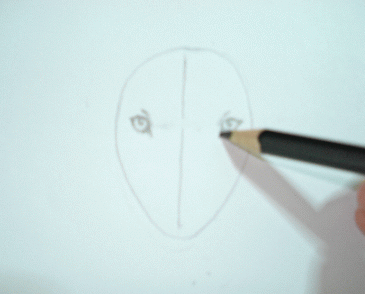 Below is an overview of what you might learn in this step by step wolf drawing lesson. Just click on the link to view the details of each step. 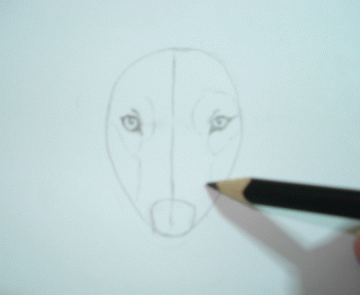 Get the idea on how to draw a wolf in pencil? Keep it in a folder or paste it on your room's wall. I highly recommend that you scan your artwork or at least take a few snaps using a digital camera and then store your images at any available free image hosting company like Photobucket. Just hit the image below! 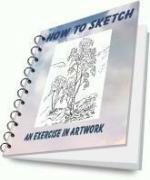 Click here if you like to ask or comment regarding my step by step lesson. Wanna share your experience in wolf drawing in the form of videos, ideas or tips? Return to Animal Pencil Sketches.